Goal: Mobilize mayors across the country to go big on solar in their communities. Cities across America have the power to get all the energy they need from the sun. Millions of rooftops are poised to hold solar panels. City governments can and already are making it easier for residents and small businesses to go solar. Environment America’s Mayors for Solar Energy project is helping city leaders take concrete steps toward this brighter, healthier future by building a broad, bipartisan community of mayors and giving them the tools they need to tap into the power of the sun. Help us reach our goal to mobilize mayors across the country to go big on solar in their communities. Check out the map below to see all of the mayors that have already signed on. Click the "INFO" button in the upper-right corner to get more details. Use the navigation in the footer to see how to use the map, view the list of mayors who have signed on, and see what those mayors are saying. Zoom out to see the mayors who have signed on in the Pacific Islands and Alaska. Environment Massachusetts’s annual Shining Cities report ranks the U.S.’s largest cities in terms of their total and per capita installed solar potential. Our Ten Ways Your Community Can Go Solar guide lays out steps that cities can take to adopt more solar energy. 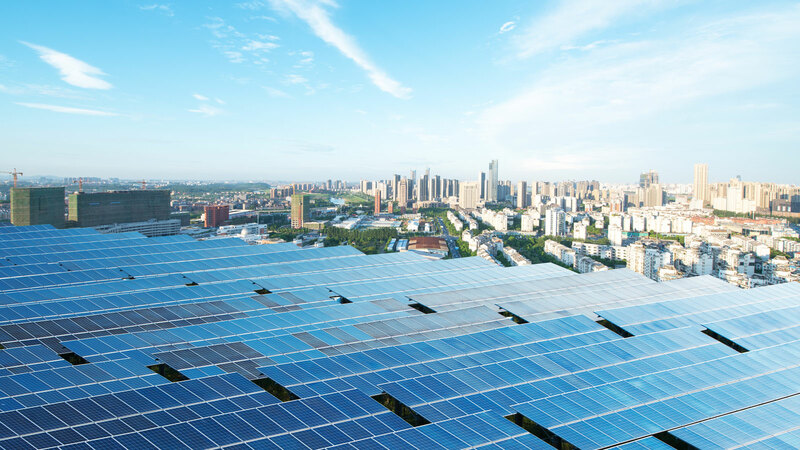 Our Mayors for Solar Energy webinar series explores solar policy tools, featuring leading solar communities and experts. Our Making Sense of Energy Storage report can help cities understand the role that energy storage can play in their renewable energy transition. We’ve partnered with Energy Sage to help cities find and compare solar options. If you are a city leader seeking free technical assistance in improving your solar permitting process, you can apply for SolSmart designation. If we want cleaner air and a more stable climate, we need to harness energy from the sun. We're thinking globally and acting locally, calling on cities and town across the country to go big on solar. Sign up to learn how you can push your mayor to make a commitment to solar energy and get more involved in all of our work.